Buy Pickle and Nancy Christmas cards, Greeting cards, Thank You cards and Milestone cards - available from Amazon or Etsy! We have produced a series of greeting cards and gift items inspired by the girls. Products are sold via Etsy. Celebrate birthdays and other special occasions with this pack of 10 Pickle and Nancy Greeting cards! Contains 1 versions of all 10 designs and includes 10 white envelopes. The cards are left blank for your own messages. Celebrate anniversaries, loved ones Birthdays and other special occasions with this pack of 5 Pickle and Nancy Love cards! Contains a version of all 5 designs and 5 white envelopes. The cards are left blank for your own messages. Have you just welcomed a new kitten or cat in to your home? With the Pickle and Nancy Milestone Cards for Cats and Kittens you can mark those unforgettable milestones by sharing them on social media with friends, family and your cat-loving social network! 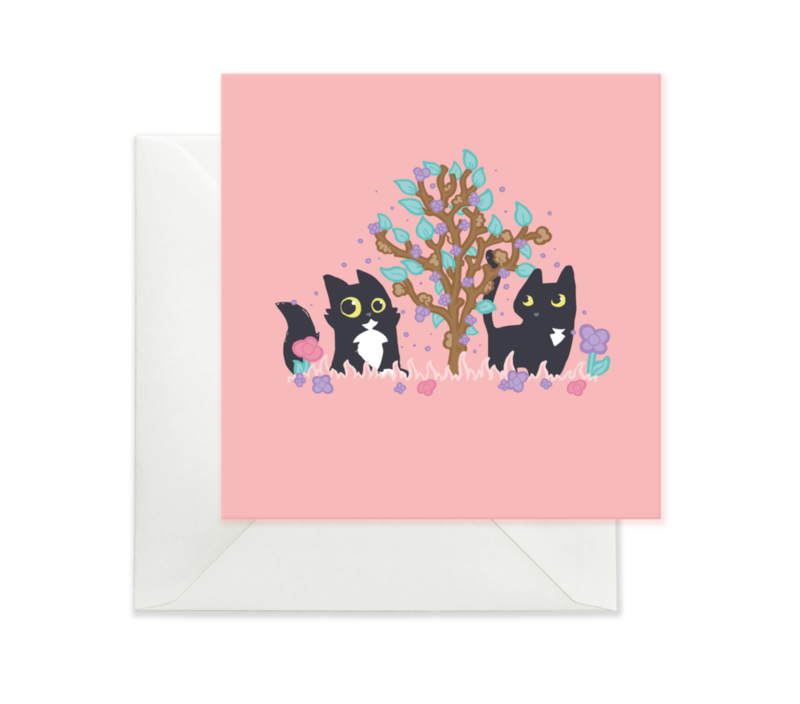 Greeting cards are also available individually!